Your Future Basketball is looking for 100% Committed and Dedicated Student-Athletes and Volunteer Coaches for our Elite Travel Basketball Program starting in February 2017. As staff, we expect a lot out of our student athletes, so we are looking for Coaches who can give the equal amount of commitment and dedication. Your Future Basketball is an Elite Travel Basketball Program so we expect our coaches to be able to challenge our student-athletes and teach them on an elite level. As an organization and program, we believe integrity is the foundation for which we stand, and expect all staff including coaches to demonstrate high integrity at all times especially while representing Your Future in an active role. Your Future Basketball is for Student Athletes who are looking for a much disciplined Elite travel Basketball Program, We are looking for highly dedicated and 100% committed student athletes who have ambitions of playing at a high level of basketball. Participants can expect the highest level of coaching, competition, exposure, and tradition in the country. Your Future Coaches & trainers have an abundance of knowledge and experience and are dedicated to providing top notch teaching to your son or daughter. Your Future travel teams compete in some of the strongest tournaments in the nation and against the highest level of competition around the country. Your Future staff has built relationships with many College Coaches and scouting Services and strives to provide the maximum amount of exposure through all of their programs and events. Your Future staff works with institutions of higher education to provide the best opportunities for our student athletes. 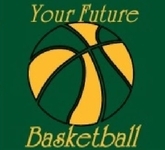 Your Future Basketball will host teams ranging from 10 & Under - 17 & Under for both boys & girls. If You are Interested in Being a Part of Your Future, Click The Link Below and Fill Out a Profile.